Chandini Ann has been writing articles for us and she has been great to work with: highly professional, polite, someone who pays attention to detail in producing good quality writing. She is versatile in her writing and her turnaround time is always impressive. Also, she can effortlessly produce copy for different purposes and platforms. Chandini is to the point in her communication and writes in a manner that engages the reader. She is diligent in her research, which means her writing is accurate, well-organised and carefully thought out. I would have no hesitation in recommending her to anyone looking for high quality freelance writing work. “We do a lot of Blogs, Articles for my company (Animon Live) & our clients and tried a number of different article writing services. It’s always a pleasure to deal with Chandini for these simple reasons: great communication, attention to client needs, well written content and quick delivery. It is progress, response, and customer service for which you should be looking. If so, you would love Chandini simply because she is always just a mail away. I would be delighted to recommend her services to anyone seeking quality articles or other written content. Chandini is very personable and always a pleasure to work with.Not only is she prompt with her deliverables, but she is also extremely receptive to feedback, and works diligently to create exactly what you have in mind.Her commitment to the task at hand or a particular project is Impressive.Her creativity and passion for the Writing over the years should place her at the top of your list.HIGHLY RECOMMENDED. Chandini is a mind-reader, always true to our brief and always delivering content exactly as we had expected or even better. Her terrific all-round knowledge adds to her writing skills. We couldnt have asked for more! AGM (Business Development), Bonton Holidays Pvt. Ltd.
We engaged Chandini Ann on a couple of different assignments for us. We found her to be good at articulation of concepts, expressing them in a simple manner. I am happy to write the recommendation for your work. Best part about working with you is that you always understand the requirement very quickly and then what comes out is commendable. Right from selection of words done by you, to the flow of the article is very nice. Chandini has good command on English language, conveys the message in limited words. Understands the expectation clearly on the task and completes the task as an efficient professional, always in time. 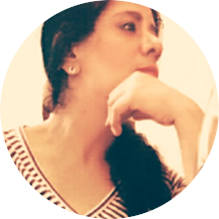 I came across Chandini Ann’s profile on LinkedIn while I was searching for a freelance writer for my website and I contacted her. She was very prompt in her replies since her first interaction. Right from sharing her work pieces for display of her talent to actually delivering on it every time a task was assigned to her. She is quite articulate and draws well from her personal experiences and surroundings. What I liked the most about working with her is her ability to contribute beyond her work requirement. Kudos for all your good work. Wishing you the best always. “ Focussed, Clear and passionate about her writing. She delves deep to dig out the perfect gems for communications. Very prompt and honest towards any project whether small or big, always on time or before time. Doesn’t believe in writing more than required – she shows you a different untouched spectrum of communication.